Transportation officials hope to reopen Interstate 81 on Tuesday morning following last week's tanker fire that damaged a ramp over the highway near Harrisburg. PennDOT officials said Sunday they hope I-81 will ready for the morning commute on Tuesday. The inter state has been shut down since Thursday when a tanker carrying diesel fuel overturned and burst into flames. 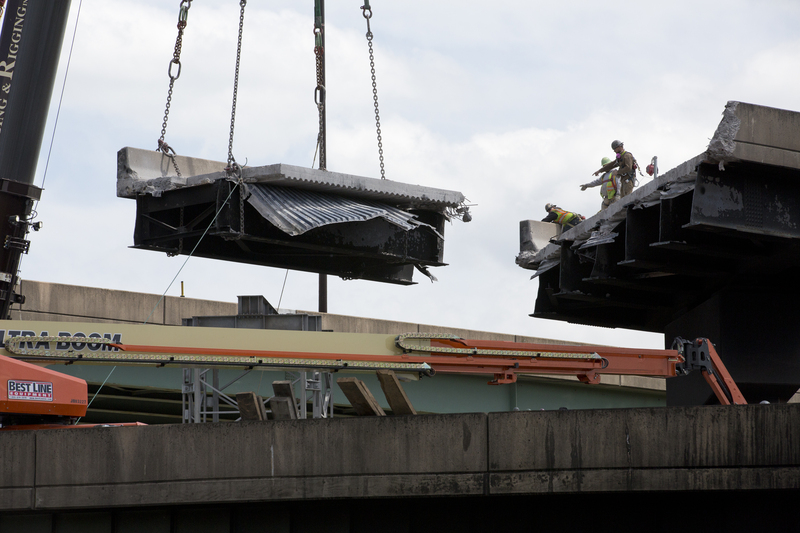 The intense heat buckled steel beams and damaged the road so badly officials feared it could collapse onto the interstate. Long-term repairs could take months and traffic restrictions will remain in place while the damage is assessed. 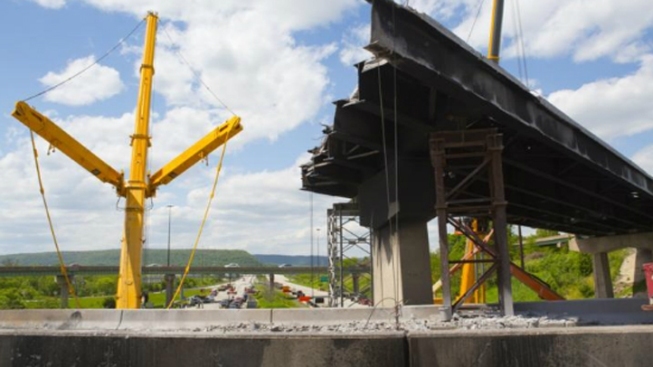 On Friday, the Pennsylvania Turnpike waved tolls for motorists who drive between Carlisle (Exit 226) and Harrisburg East (Exit 247) as an alternative to Interstate 81, which was closed because of the damage. State police said the driver, a 52-year-old from Dover, Pa., was treated at a hospital for minor injuries. The truck was headed northbound from Carlisle shortly after 6 a.m. Thursday when it flipped over on a ramp to Route 22-322 northbound, near the I-81 bridge over the Susquehanna River. Crews were checking to see whether the massive fire had dripped diesel from the ramp onto I-81 and caused damage to bridges or the road surface. Later Thursday morning, Route 22-322's westbound lanes, away from Harrisburg, were reopened, but the region remained locked in a traffic nightmare. I-81, a.k.a the American Legion Memorial Highway, is the longest north-south highway in the state running 234 miles from the Maryland to New York borders spanning eight counties.